To furnish the diverse requirements of our clients in the best possible manner we are involved in offering an extensive range of Hole Saw Cutter. For cutting sheet metal, spare blade also available can be used with portable electric machine. Saw teeth are used for most materials, such as wood, plastic, soft plaster, and metal. 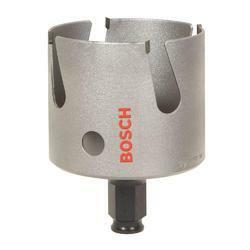 Diamond hole saws are used to bore holes in brick, concrete, glass, and stone. This tool is manufactured using excellent materials, which ensures accuracy and long lasting service life. Tungsten Carbide Tipped Stainless Steel Hole Saws are ideal for cutting high alloy and stainless steels, non ferrous light metals and reinforced fabrics. The tough tungsten carbide tipped teeth have a positive cutting angle which provides fast and efficient removal of chips and swarf. 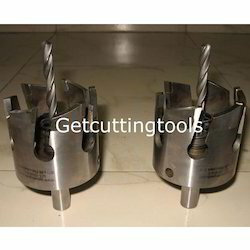 We are wholeseller for Sharp Hole saw cutter.The following type of product are available with us.